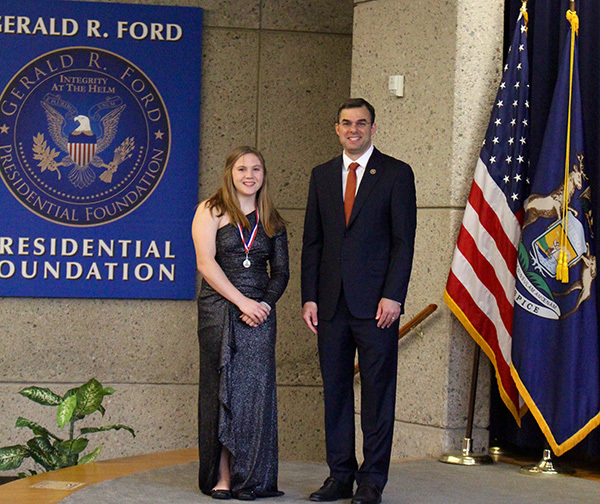 Autumn Watson, of Creative Technologies Academy, received the Congressional Medal of Merit on Saturday, May 5, from Rep. Justin Amash. Courtesy photo. 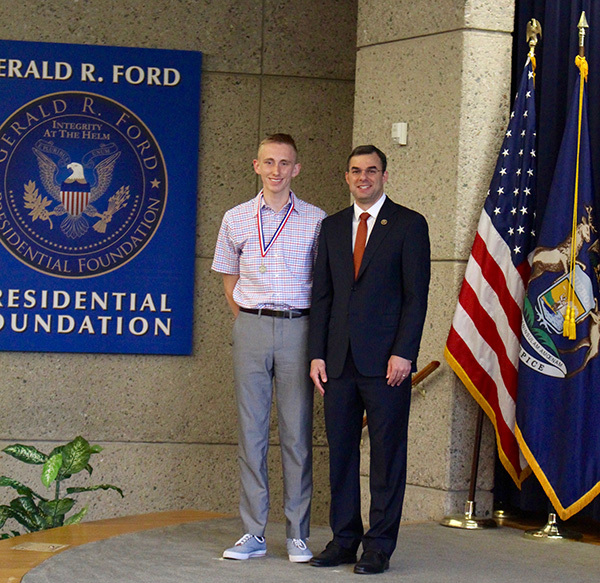 Jacob Ryan Outwin, of Cedar Springs High School, received the Congressional Medal of Merit on Saturday, May 5, from Rep. Justin Amash. Courtesy photo. 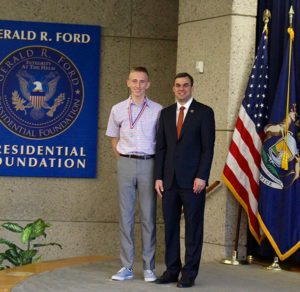 Rep. Justin Amash (R-Mich.) recognized the 2018 service academy appointees and student Congressional Medal of Merit recipients from Michigan’s Third District at the Gerald R. Ford Presidential Museum on Saturday, May 5. Applicants to the service academies require a nomination from an authorized nominating source, which includes members of Congress. 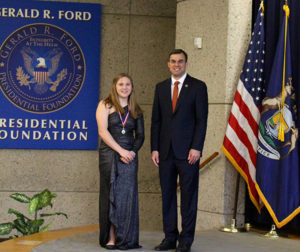 To assist with the nominating process, Amash assembled a committee of military and civic leaders who reviewed applications, interviewed potential nominees, and made recommendations. In addition to the seven service academy appointees recognized, Amash honored 34 students with the Congressional Medal of Merit. Among them was Jacob Ryan Outwin, of Cedar Springs High School, and Autumn Watson, of Creative Technologies Academy. The Congressional Medal of Merit recognizes high school seniors who have demonstrated exemplary citizenship and academic excellence. Recipients were nominated by their principals or guidance counselors.